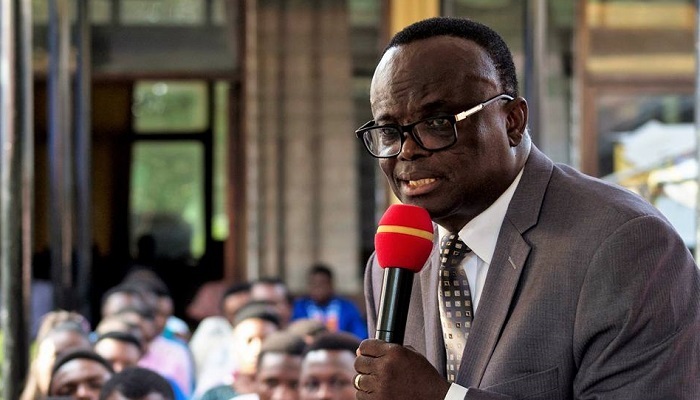 The Winneba Area Head of The Church of Pentecost, Apostle Professor Peter Ohene–Kyei, has called on Christians to be faithful to their calling other than striving to be successful in life. Apostle Professor Peter Ohene-Kyei was speaking at the send-off ceremony of the immediate past Area Deacon for Teshie-Nungua Area, Elder Ronald Acquah-Arhin at the Graceland PIWC, Nungua, on Sunday, July 8, 2018. The ceremony was also used to induct the new Area Deacon, Elder Emmanuel Akwasi Kyei, into office. Apostle Prof. Ohene-Kyei explained that the earth is the Lord’s and all that is in it. Human beings, he said, were created by God and belong to God Almighty. “We do not have the right of control over our lives, we are stewards of the resources God gives to us. A faithful person is a successful person, reliable and trustworthy,” he said. “We have a breed of Christians who do not read their Bibles, and when they are confronted with challenges, they claim there is no power in the church and move from one prophet to the other,” he bemoaned. He said Christians who do not read their Bibles consistently and apply it to their lives have no power in them, and that it is not the case that there is no power in the church as the Bible says the word of God is spirit and life. The Area Head, Prophet James Osei Amaniampong, congratulated Elder Acquah-Arhin for his good deeds and dedicated services to the Area. In his response, Elder Acquah-Arhin expressed his gratitude to the leadership of the church for the opportunity to serve. The incoming Area Deacon, Elder Emmanuel Akwasi Kyei, a chartered accountant and banker, pledged to undertake his new task faithfully and diligently. Prayers were said for the families of the outgone and the new Area Deacons.